How you exterior appears says a lot about your home. A beautiful, inviting facade can help your property make a great first impression. A dull and outdated exterior, on the other hand, can be a major turnoff for guests visiting your home. So if you’re looking for ways to upgrade the appearance (as well as durability) of your structure, come to Napolitano Roofing for top-quality siding services in East Hartford, CT, and the nearby areas. As one of the most trusted home improvement contractors in the region, we have the tools and skills to transform your home’s curb appeal into something you can be proud of. Installing new siding can do more than just help boost the aesthetics of your home; it can also protect your exterior better from the elements. 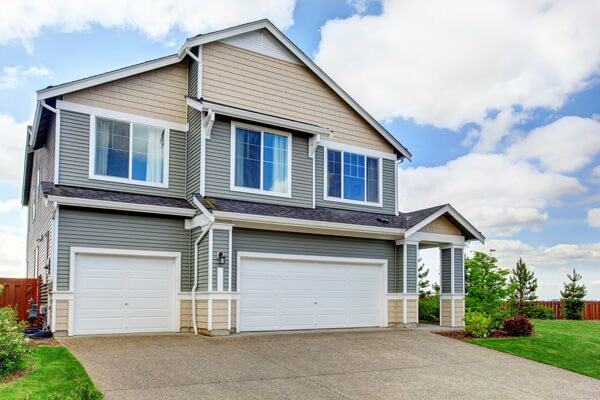 In addition, our siding options here at Napolitano Roofing even offer the benefit of added insulation, which means you can enjoy more comfortable indoor atmosphere and lower energy bills. As local residents ourselves, we understand the needs of homeowners, as well as commercial owners, here in Central Connecticut. That’s the reason we offer only the most ideal products and materials that can stand up to the local climate. From the basic materials and high-end products, you can rely on our experts to professionally install them on your structure. We’re always up to the task, regardless if you’re planning to have new siding installed or simply want your existing siding updated. All of our installers are highly trained and experienced, so you can be sure that only professional workers handle your project. Our approach to siding installation truly represents a commitment to quality service that you won’t receive from many remodeling contractors in the area. To know more about the siding we offer in Central Connecticut, contact Napolitano Roofing today at (860) 519-4900 or complete our form. We provide FREE in-home estimates and have a number of payment options available to local customers.